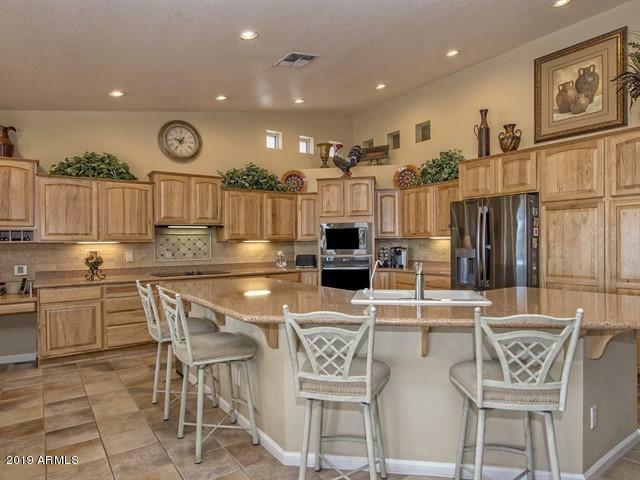 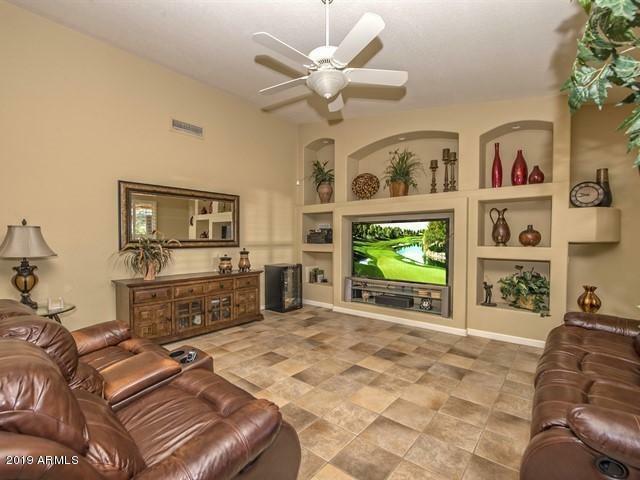 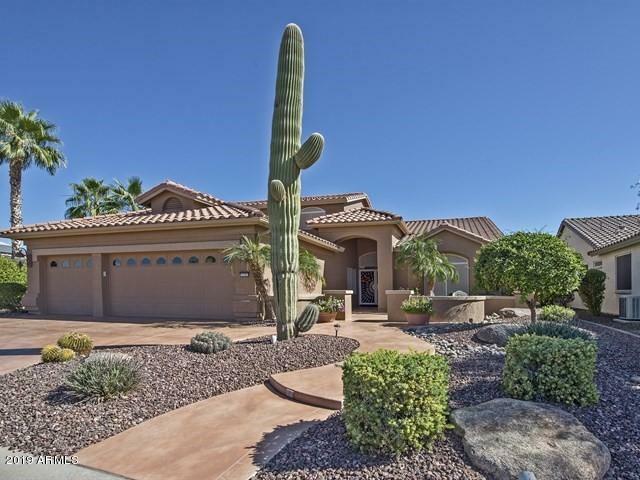 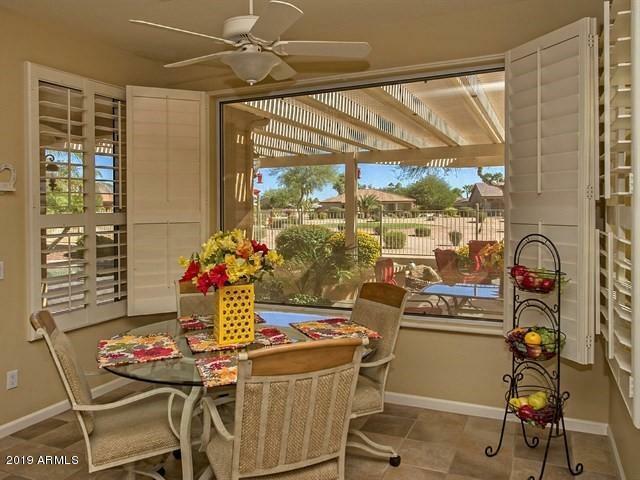 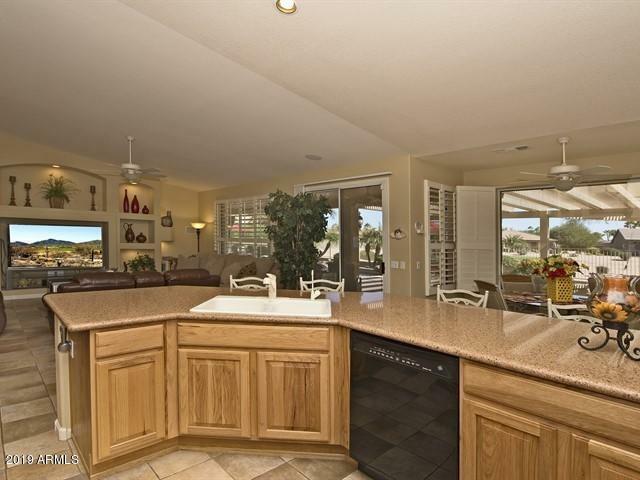 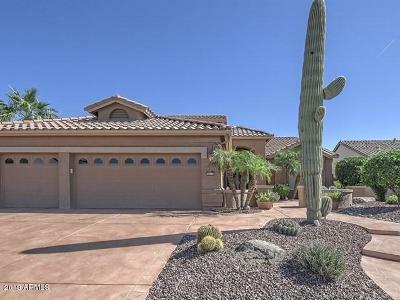 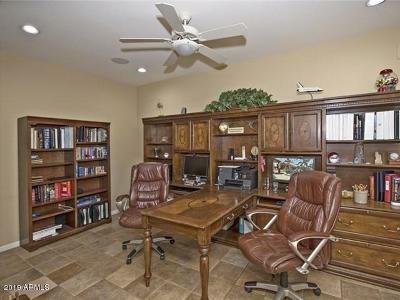 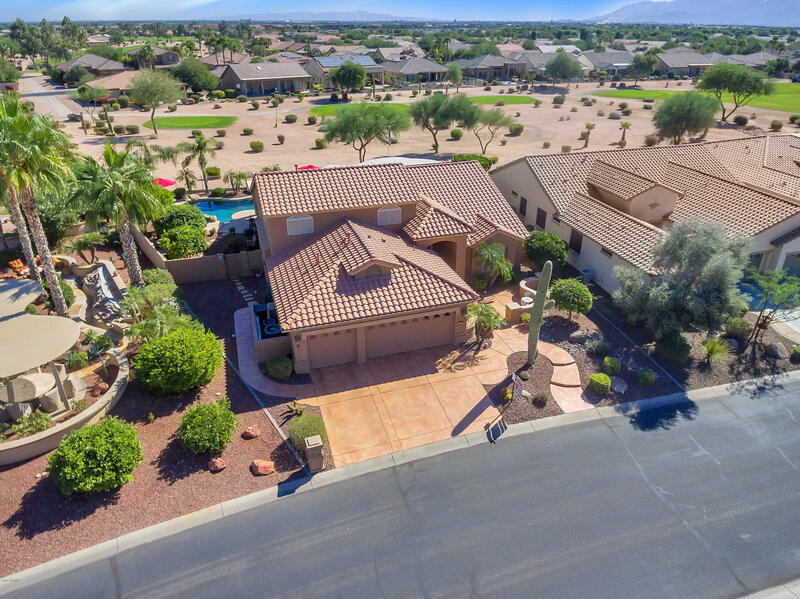 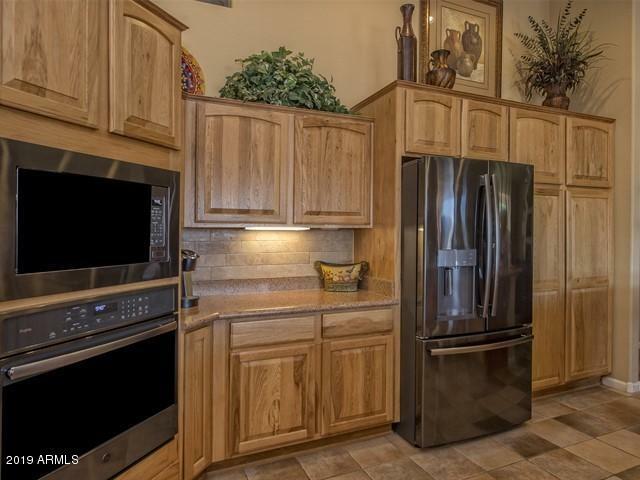 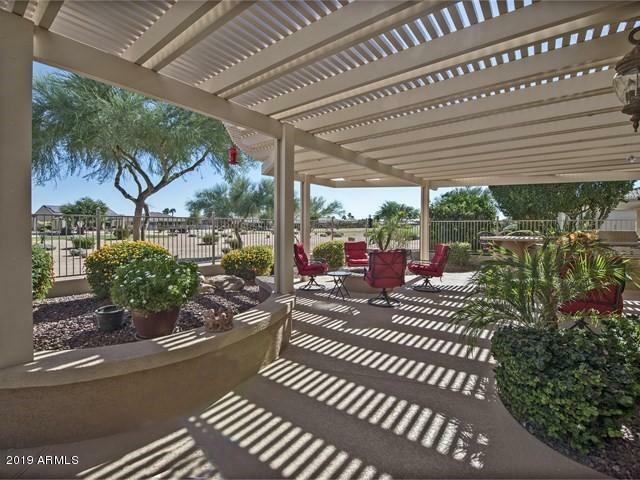 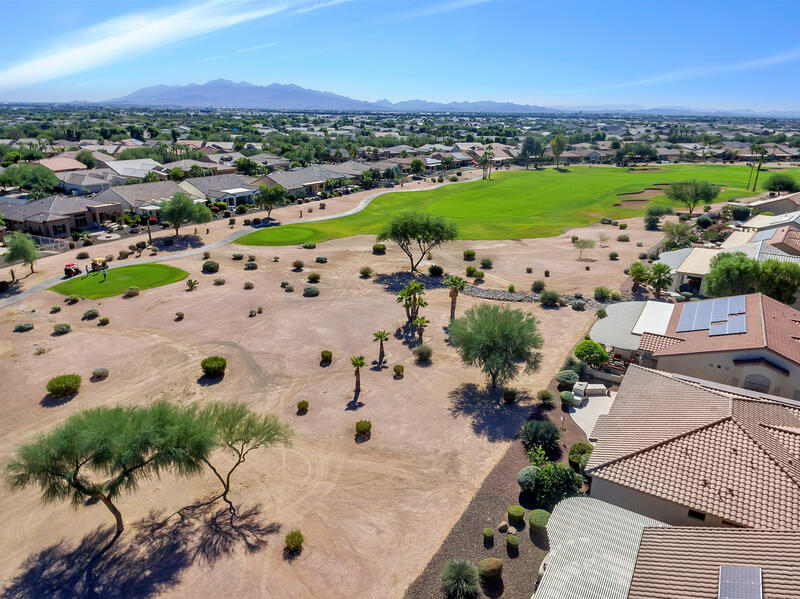 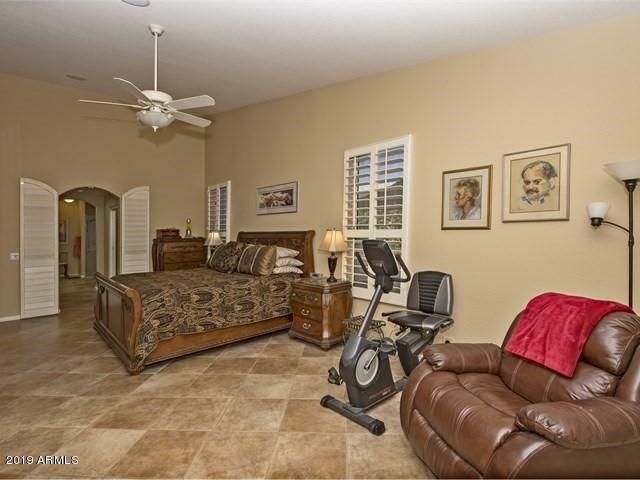 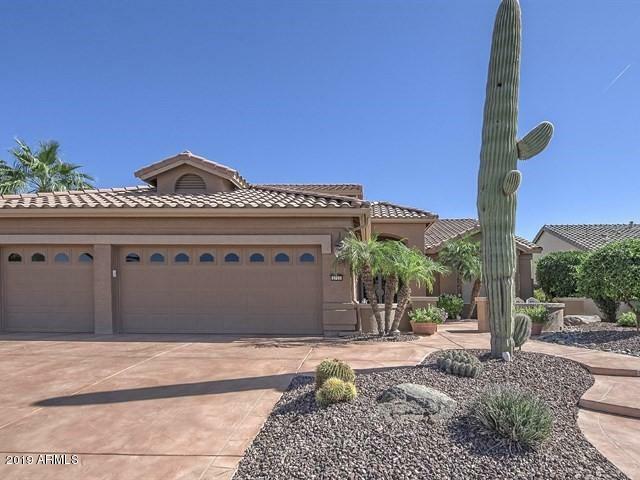 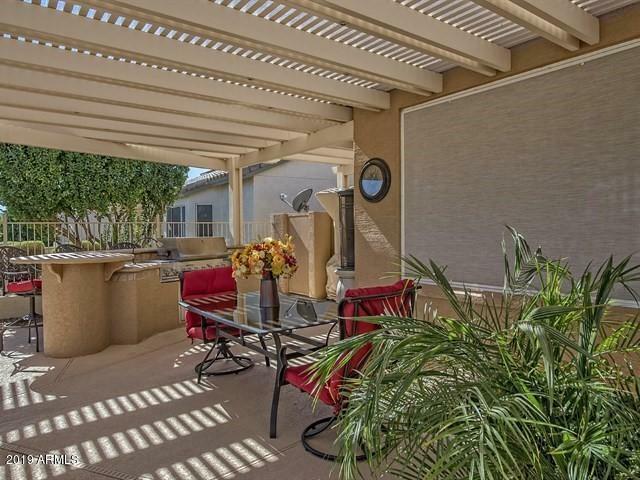 Highly Upgraded Golf Course home with Mountain Views. 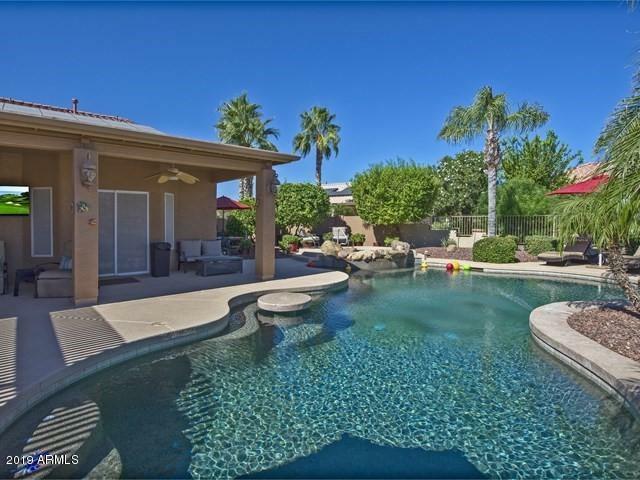 Pavered back yard features Outdoor seating, TV, Heated Pool, Spa, Gas Fire Pit, Built in Gas & a Barbecue - an Entertainers Delight. 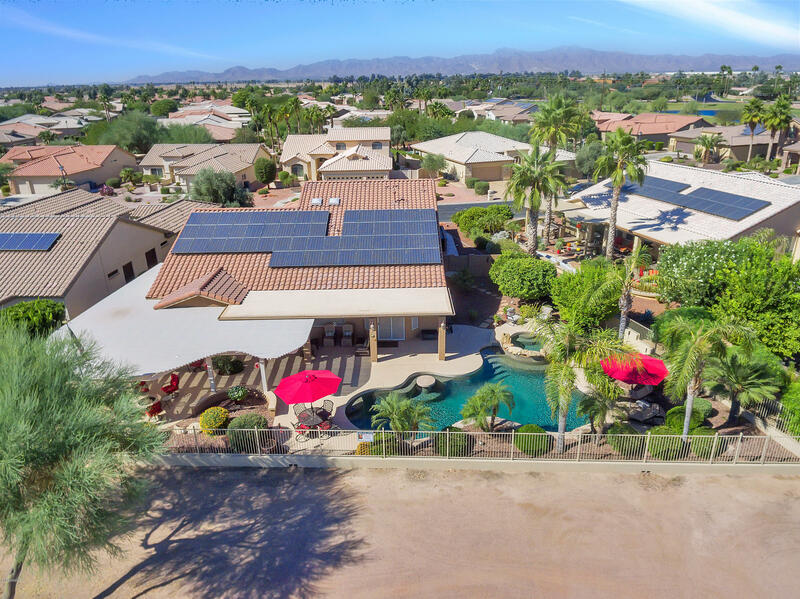 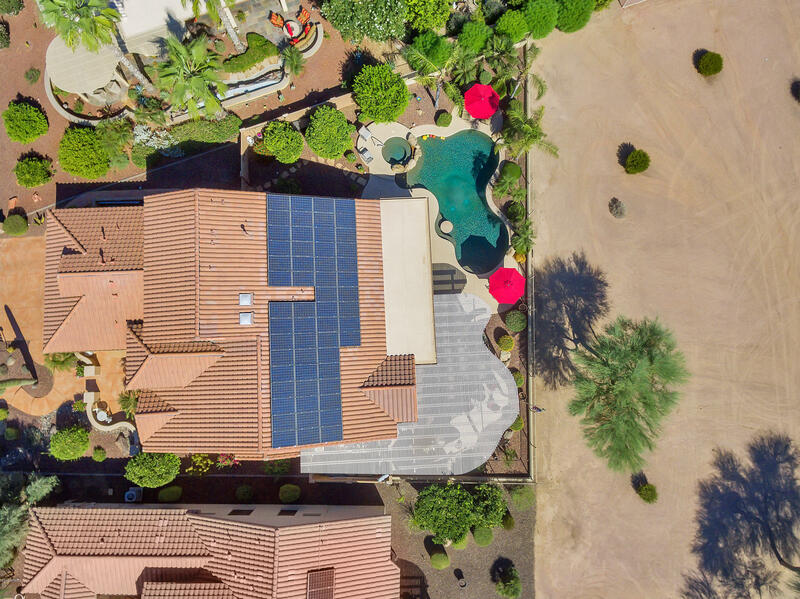 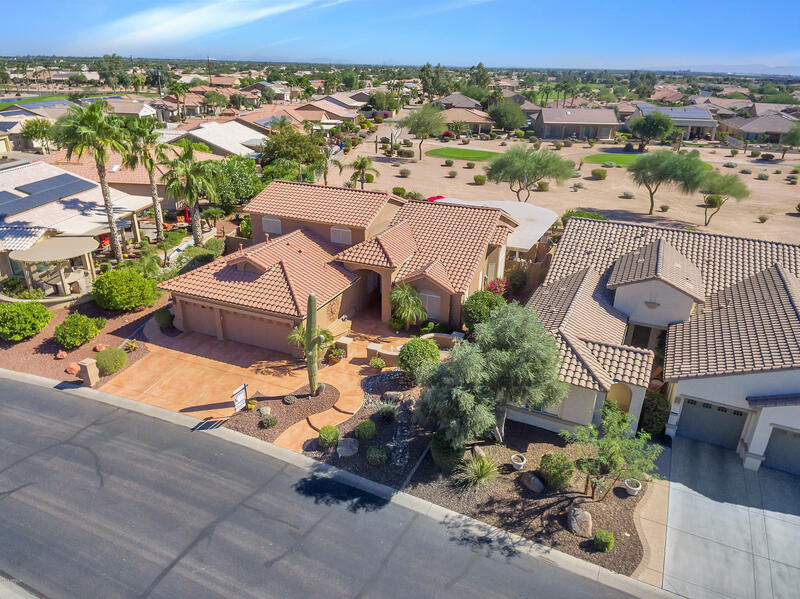 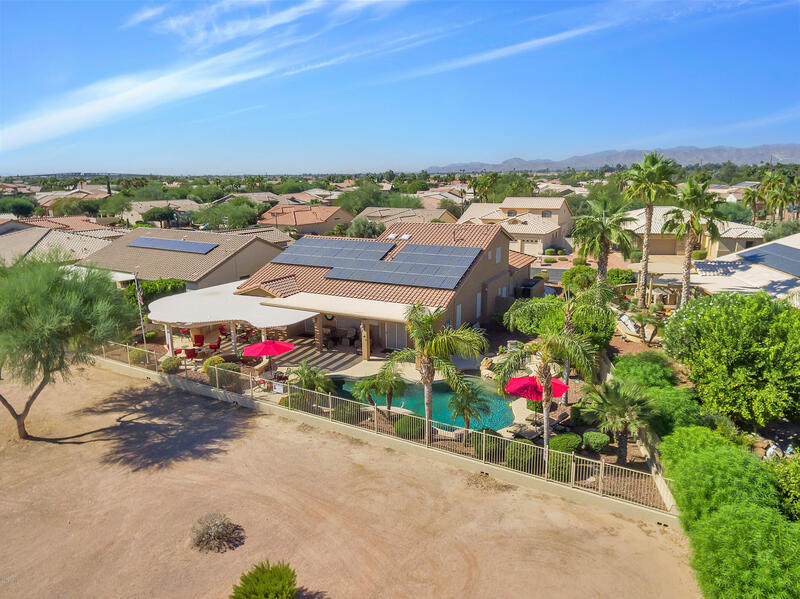 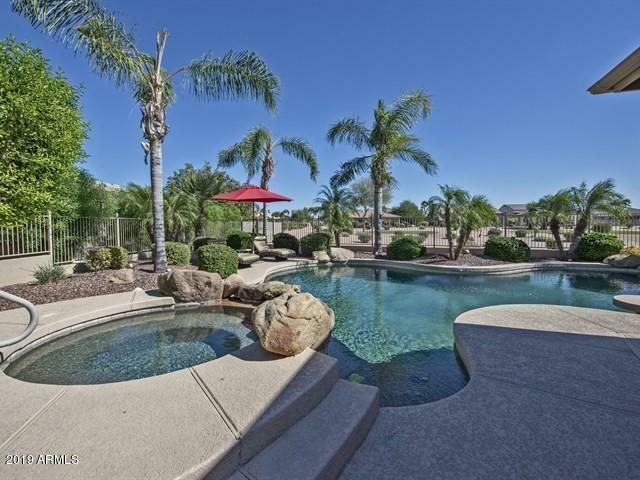 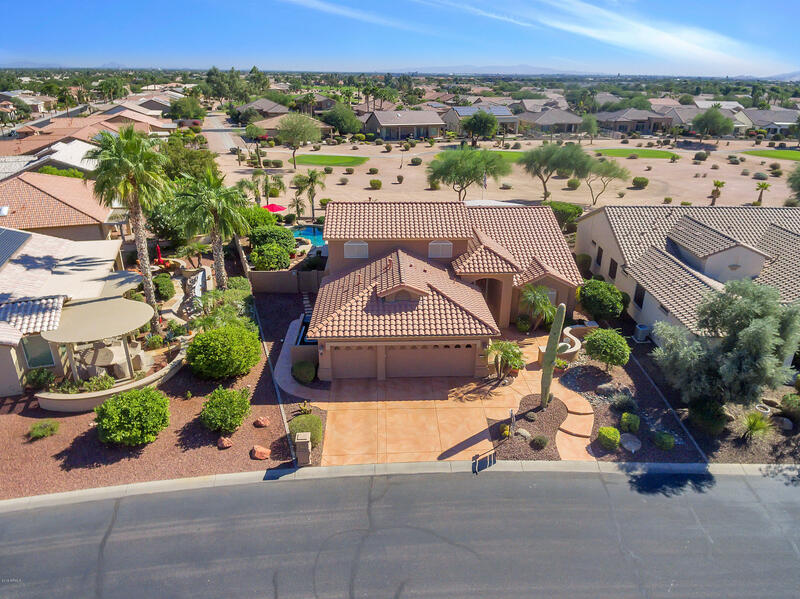 Fully owned Solar System, extensive landscaping Extended 3 car garage. 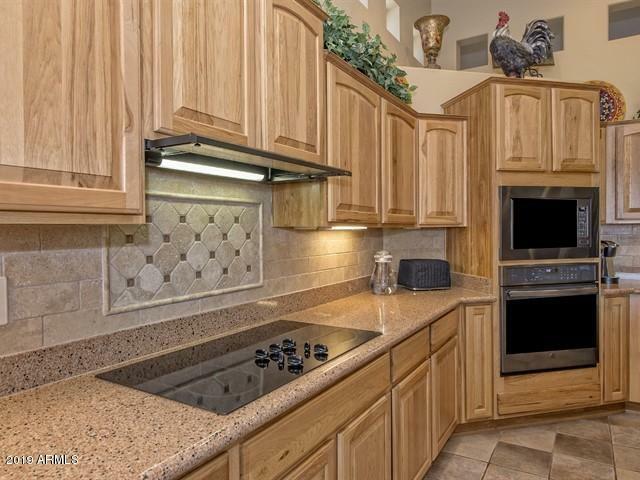 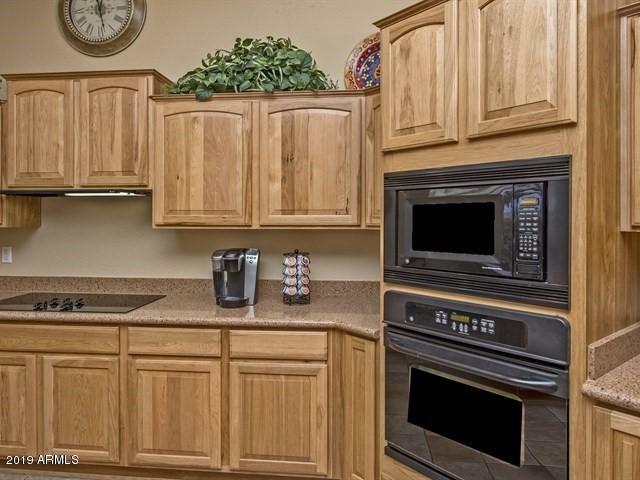 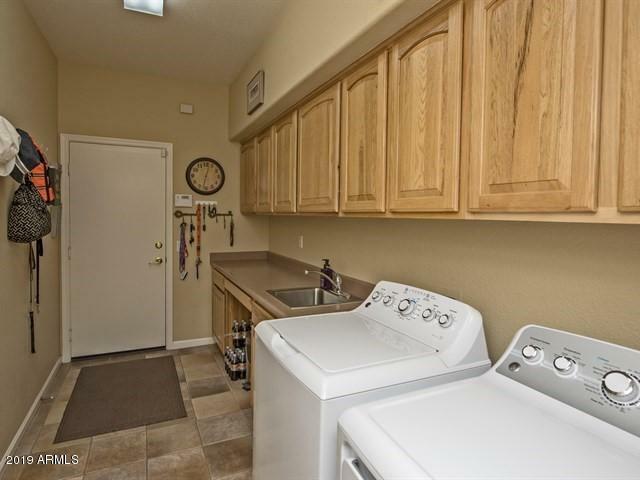 Gourmet kitchen, custom cabinets, new black stainless appliances. 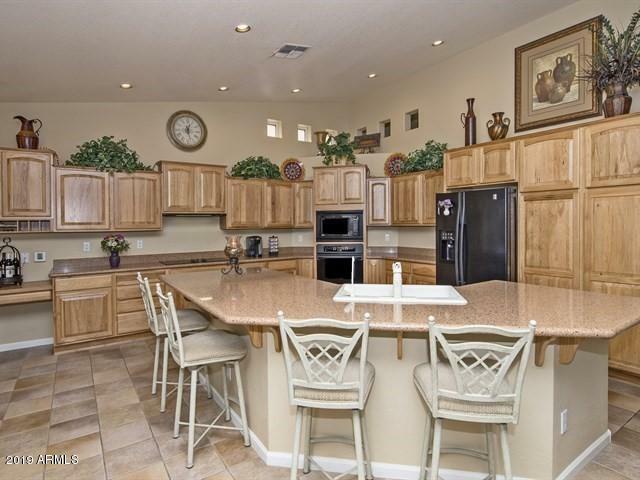 Quartz stone Counters, new backsplash, center island & Bar. High ceilings + large picture windows. 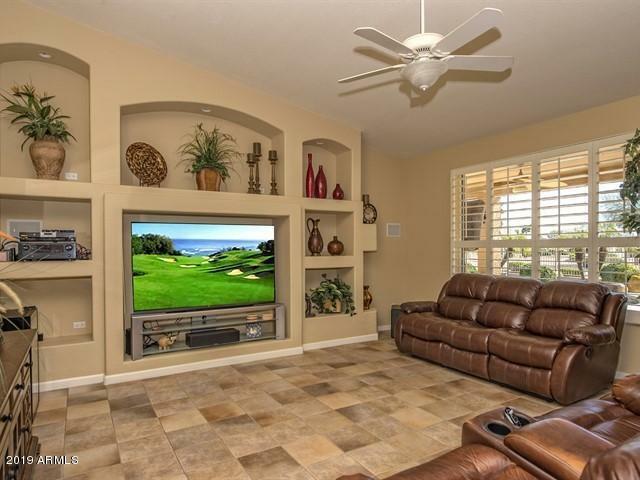 Family room has a custom entertainment center. 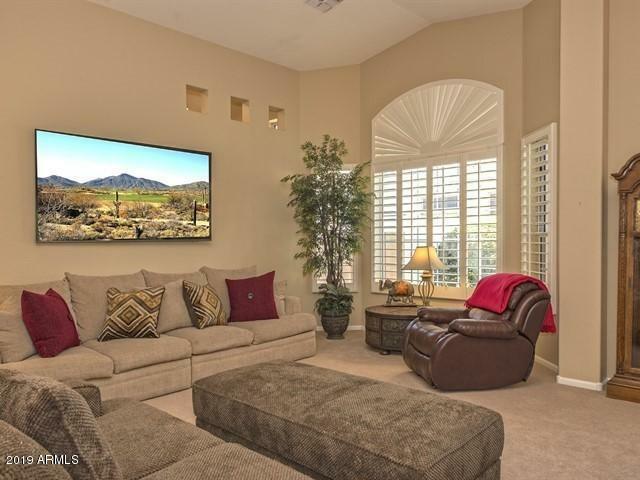 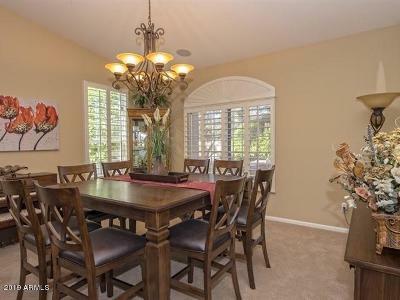 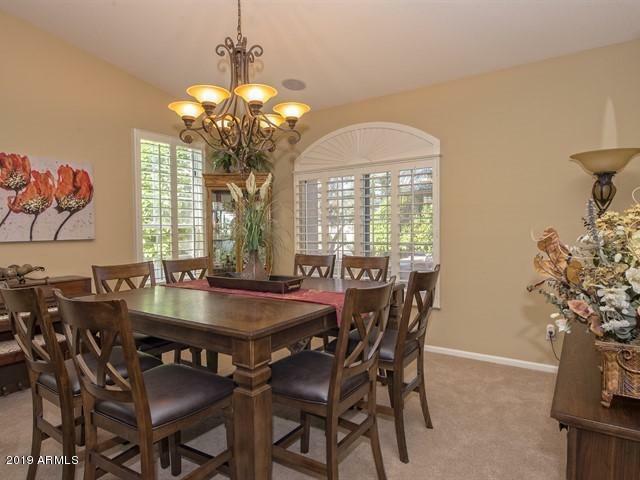 Living Room features media center & a dining area, surround sound throughout main floor. 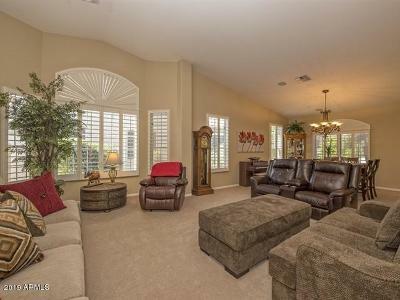 Huge master bedroom opens out to the pool. 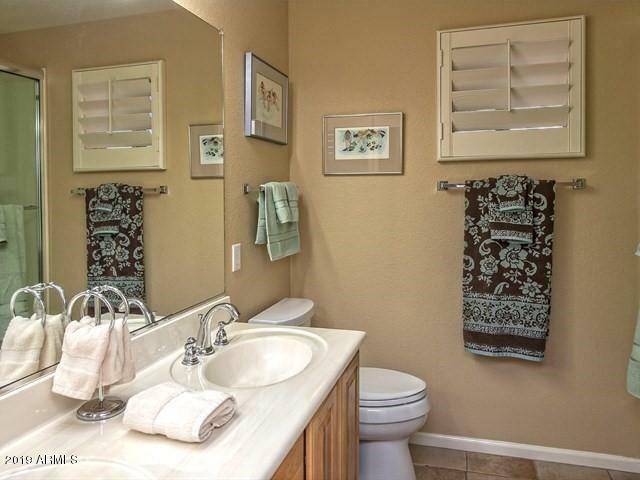 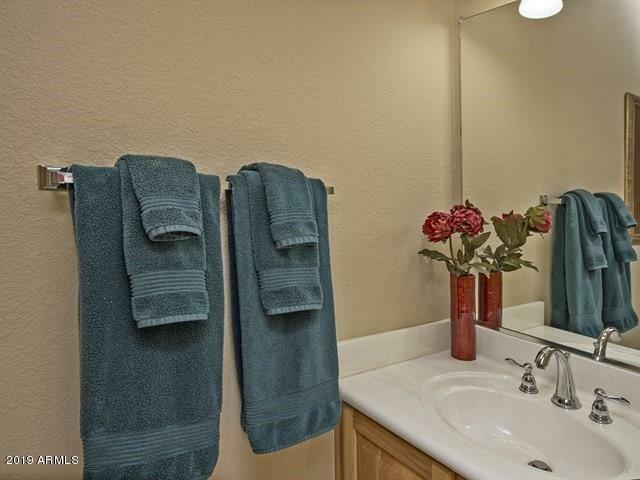 Large Master bath features garden tub & double sinks. 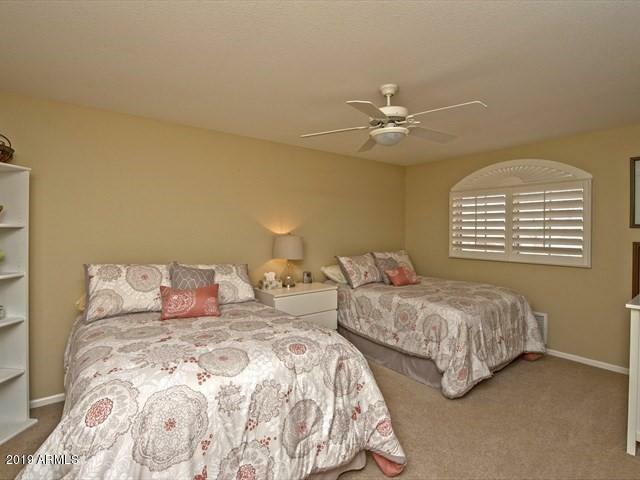 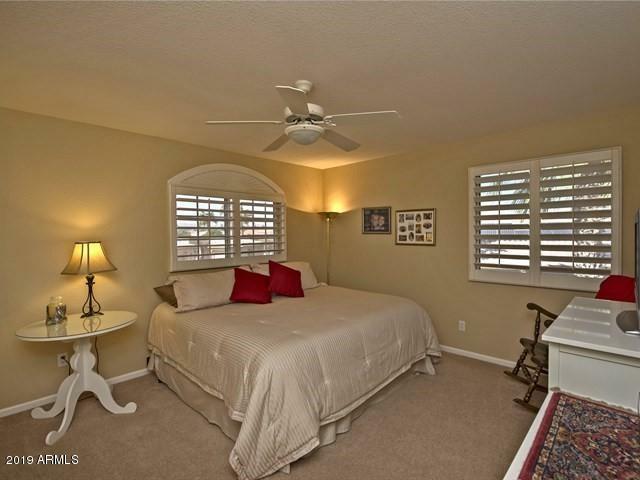 Upper level offers private guest quarters with a newly remodeled bathroom + 2 spacious guest bedrooms. 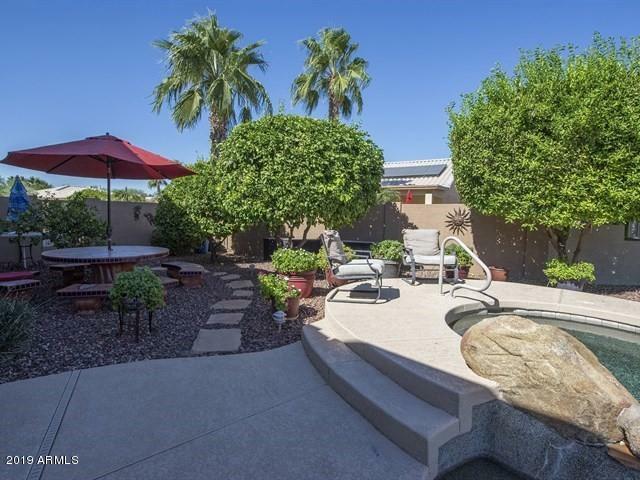 The yard has extensive hardscaping.